Shalom in the Name of Yeshua our Messiah! Meuchad is very pleased to announce its new ministry aiming to meet basic needs of Messianic congregations in hard-pressed communities. Instruments of Hope, the only ministry of its kind, helps Meuchad fulfill its vision to Unite and Equip the Messianic Community worldwide in very tangible ways. Inspired by the needs of IoH’s first recipient, the Messianic Congregations of Zambia, the ministry will continue to seek out congregations in Messianic communities whose resources are limited. We will meet with congregational leaders like Rabbi Alex Yalenga and assess the needs of the community’s worship ministry. Then, with the help of donors like you, Meuchad will purchase needed instruments and equipment and provide them to said communities. Below you will read of the needs of the Messianic community in Zambia. 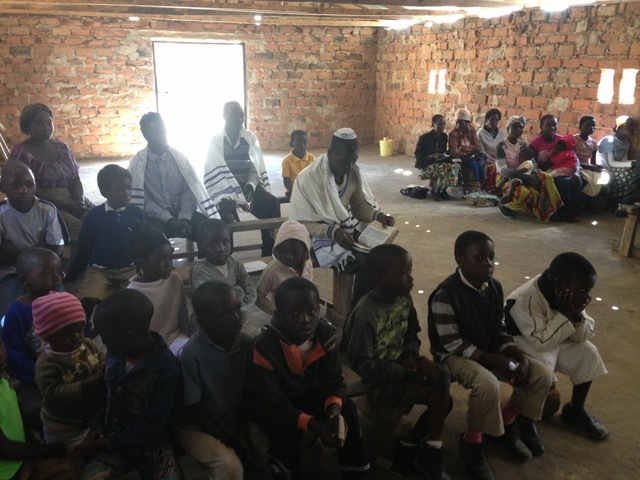 Rabbi Alex Yalenga, leader of nine Messianic Congregations and their associated ministry to Zambian orphans, reports that most of the communities are rural, poor, and without many of the amenities we in the West so often take for granted. According to Rabbi Yalenga, the vast majority of Zambian Messianic worship is drawn from the same repertoire of music that you would find in a typical Western Messianic congregation. The main difference is that, due to a lack of resources, the worship is largely a capella accompanied by African percussion. Though there are many in these communities that have the skill to play a variety of instruments, the instruments themselves are out of reach. Meuchad has pledged to purchase 6 acoustic guitars, one for each rural community, that can accompany this worship without need for amplification. The cost for these guitars is approximately $1000 each making a total of $6000. The Zambia Messianic Fellowship can be rightly called a house of worship for the God of Israel. Praise and worship takes almost half of the Shabbat services. Financially we are strained to the limit as we take care of 234 orphans, a radio program and nine congregations. Most of the congregants are barely making it and all the instruments used for praise and worship are donated. We lack many instruments. In fact, our worship team of 13 has only 3 microphones. We use praise and worship (Messianic, Hebrew and African worship) to reach out to the local Jewish community, and during solidarity marches for Israel. Right now the only instruments we have are a broken drum set and an old keyboard. We are blessed with about 13 musicians who can play all sorts of instruments if they are available. Whenever we can, we hire (rent) guitars and other instruments, depending on the occasion. We believe music is a universal language and we have come to believe that songs sung with an anointing breaks strongholds and opens doors. And we have several strongholds here in Africa. These guitars are Phase I in the ministry to Zambia and the inaugural outreach for Meuchad’s newest ministry. Please help us brings Instruments of Hope to the Messianic community of Zambia with your donation. To donate, simply click the donate button below for a tax deductible donation that goes solely into this effort. As always, we also ask for your prayers and hope you will explore Meuchad.org to meet the needs of your own ministry. Also, register today for the 2018 Meuchad Worship Conference, October 12-14, in Roswell, GA featuring Paul Wilbur and the Meuchad worship band. Thank you! God bless, and shalom.